The six-boat fleet has taken a severe pounding over the last 24 hours with fierce head winds and strong currents combining to whip up mountainous seas on the approach to the northern tip of New Zealand. 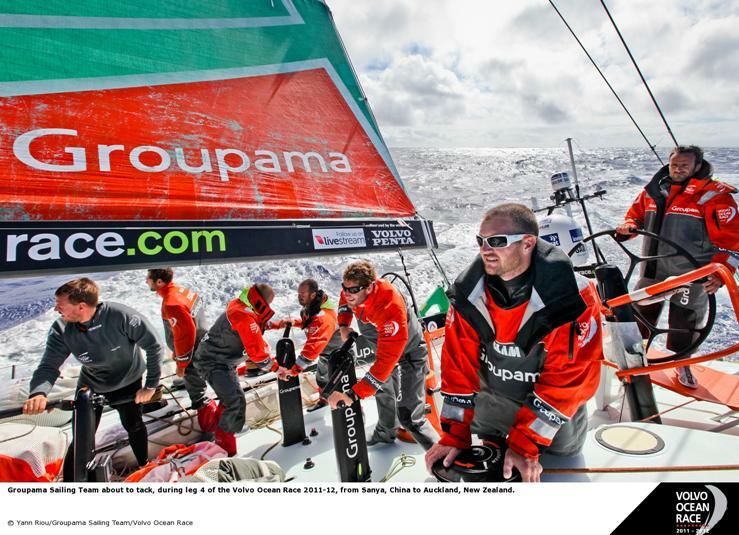 Leg leaders Groupama sailing team gave the fleet a master class on how to deal with the hideous conditions, maintaining an average boat speed of around 13 knots despite the colossal seas. At 1300 UTC today they held a 110 nautical mile lead on the fleet with 225 nm to sail before the finish in Auckland. Groupama helmsman Charles Caudrelier said the French crew was exhausted from a night of sail changes and tacking in winds up to 31 knots and waves as big as eight metres, but they remained resolute to hold their lead to the finish. "There’s tiredness for sure and pressure of course,” he said. “Pressure not to break anything, not to loose the race now. Yet there is some euphoria on board as we are quite far ahead. 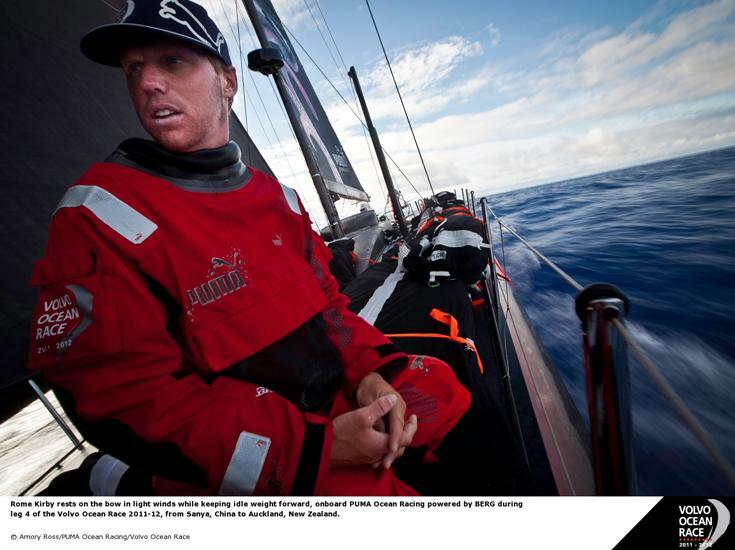 "We have sailed a beautiful race but there is always the fear of losing at the last moment. We need to pass the tip (of New Zealand), where there’s lots of current and a very choppy sea state, without damaging the boat. 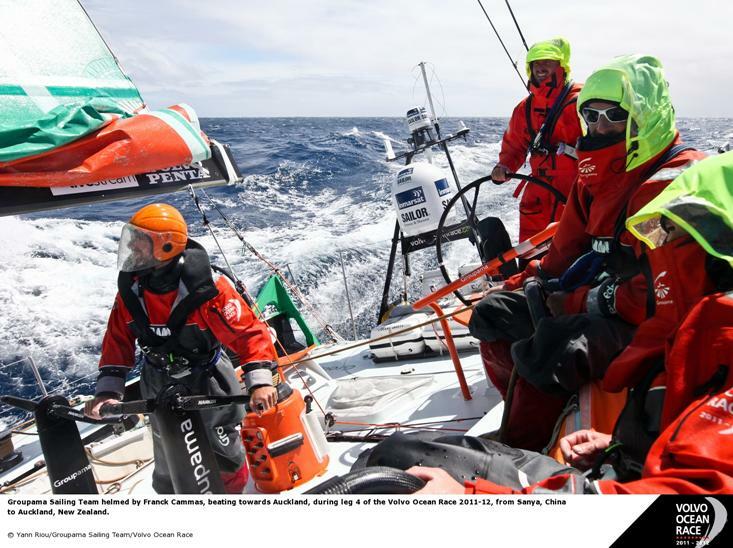 Meanwhile, the three-way battle for the remaining podium places has intensified with PUMA Ocean Racing powered by BERG, Team Telefónica and CAMPER with Emirates Team New Zealand all vying to secure second place. At 1300 UTC, having pushed further west, CAMPER were in the number two spot in terms of distance to finish. Further east however, locked in their own personal match race, PUMA and Telefónica were both very much in the hunt for second. PUMA skipper Ken Read described the brutal conditions of the past day and explained the tactical dilemma he faced in the tussle with CAMPER and Telefónica. "All today was really big swells, maybe six to eight metres nasty with no backs,” Read said. “We looked at each other a bunch of times on deck today and asked ourselves what we had done to deserve this. "It’s just squall after squall after squall, rain, crappy waves, lots of wind. Too much sail area up, but then you have to have too much sail area up because you have got the lulls in between the squalls. It’s not real enjoyable. "It’s been a pretty pivotal day. A hard decision for us because first of all we had a 10 or so nautical mile lead on Telefónica when they came out of the right corner and CAMPER wasn’t too far behind them. "We hoped and we prayed that the two of them would stick together, but of course they split and we had to choose. We really wanted no leverage for either of them, we wanted them to stay close together but unfortunately they had different ideas. "We chose the left hand side with Telefónica and I’m pretty comfortable at this stage on where we are in terms of getting to the corner, but for sure there are a whole other bunch of problems once we get close to the island. CAMPER helmsman Adam Minoprio said the past 24 hours had been good for the team despite the fact he would miss his brother’s wedding in Auckland. "It is a strange situation; I’m here getting wet weather gear on preparing to go out there where it is a rough sea state, spray and it’s a bit cold across the deck,” Minoprio said. "Whereas, I could be at my brother’s wedding reception where it would be a great party and I would have my tie off and I’d be cutting some shags on the dance floor. 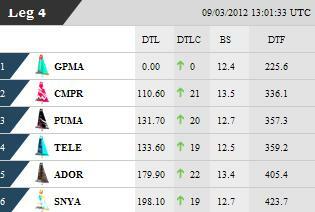 "We have closed right in on Telefónica and PUMA, they are both 16 miles to weather of us. They are closer and we are expecting to gain a little more because we are in the west more. "We should be at North Cape in the morning and it should be a nice light downwind battle the last 200 miles down the coast in to Auckland with PUMA and Telefónica. Race meteorologist Gonzalo Infante said leaders Groupama could escape the worst effects of a transition between two weather systems which should see the winds shift to the north after midnight UTC tonight. "The whole fleet has been slowed down by the effects of the big waves and as the high pressure system moves east tonight there will be a transition zone around the northern tip of New Zealand as the winds turn north,” Infante said. Latest estimates suggest Groupama will cross the finish line in Auckland at around 0900 UTC tomorrow March 10 with the next boat finishing at around 2300 UTC. 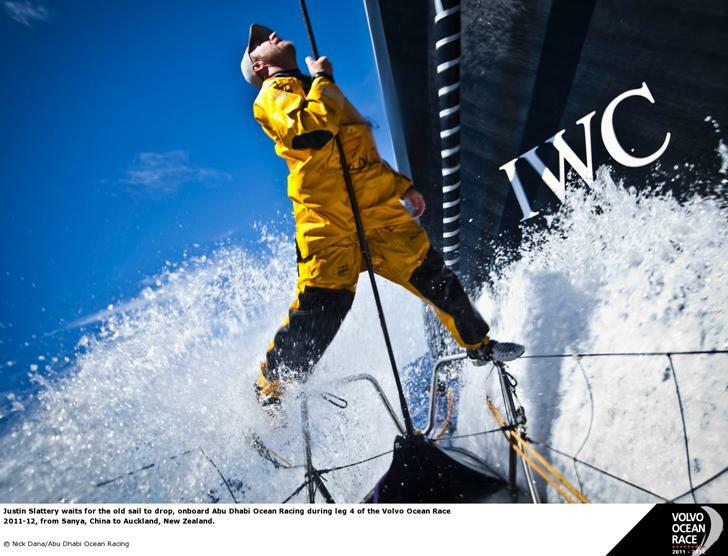 Abu Dhabi Ocean Racing and Team Sanya are expected to reach Auckland at around 0100 UTC on March 11.